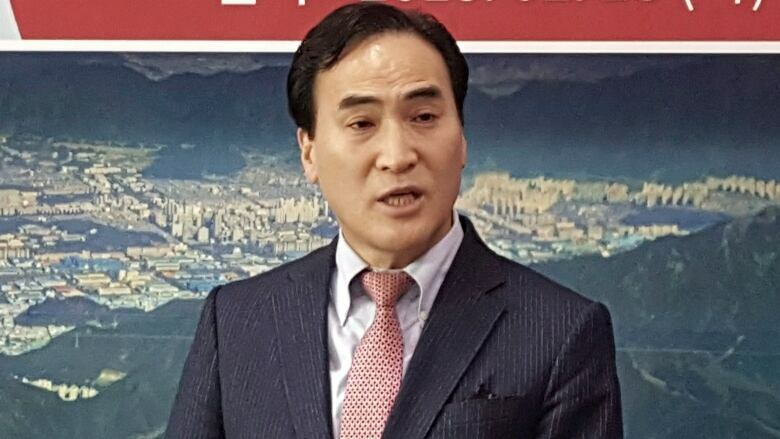 South Korea's Kim Jong-yang has been named the next president of Interpol, edging out a longtime veteran of Russia's security services who was strongly opposed by the United States, Britain and other European countries. South Korea's Kim Jong-yang was named the next president of Interpol on Wednesday, edging out a longtime veteran of Russia's security services who was strongly opposed by the United States, Britain and other European nations. Kim, the organization's senior vice-president, was elected for a two-year term at the body's annual congress in Dubai. The body's presidency, a largely ceremonial role, is typically held for four years. Kim had been serving as acting president after incumbent Meng Hongwei of China went missing in September. Beijing later said it had detained him in connection with a bribery probe. Interpol's Secretary-General Jurgen Stock told reporters that Kim's election was free and transparent. On Tuesday, two of the Kremlin's most prominent critics joined forces to try to stop Alexander Prokopchuk, a former major general in Russia's Ministry of the Interior, from becoming the next Interpol president, saying they feared Moscow would abuse the post to hunt down its detractors. In a tweet posted Tuesday, U.S. Secretary of State Mike Pompeo called Kim "the right man to lead one of the world's most critical law enforcement bodies." The United States congratulates Kim Jong Yang on his election as <a href="https://twitter.com/INTERPOL_HQ?ref_src=twsrc%5Etfw">@INTERPOL_HQ</a>’s new president. He is the right man to lead one of the world's most critical law enforcement bodies in its mission to preserve the rule of law and make the world a safer place. Ahead of the vote, the U.S. endorsed Kim and called on other countries to do the same. Canada had not gone as far, but Public Safety Minister Ralph Goodale said Canada's representative at the meetings —​ RCMP Commissioner Brenda Lucki — was "working assiduously" to defend Canada's interests in Interpol. Commenting on Wednesday's election, Kremlin spokesperson Dmitry Peskov told reporters: "We regret that it wasn't our candidate, but nonetheless there are no grounds to disagree with the election result." The Kremlin said on Tuesday that public opposition by a group of U.S. senators to the Russian candidate amounted to election meddling. In Europe, former Belgian prime minister and European Parliament member Guy Verhofstadt had said "democratic and free countries may need to develop a parallel organization" if Prokopchuk was elected. "Russia has consistently misused Interpol to pursue its political opponents," he wrote on Twitter on Tuesday. Bill Browder, an outspoken Kremlin critic who Russia has repeatedly targeted through Interpol red notices, told CBC News ahead of the vote that withdrawing from Interpol "should be an option that's on the table" for Canada and its allies "if you have countries like Russia trying to debase this organization." Day-to-day work at the organization is handled by Secretary-General Jurgen Stock of Germany, but the presidency still commands influence. Interpol also said Nestor R. Roncaglia of Argentina had been elected to a three-year term as vice president for the Americas.